The Staveley Remembers team work with a number of local groups and individuals to make sure that every local WW1 casualty is remembered. 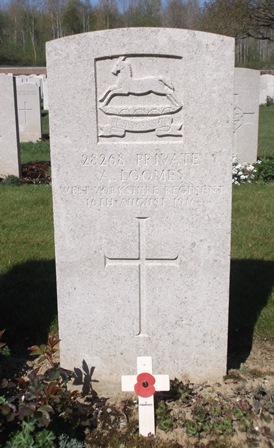 Louise has been researching the men of New Whittington and has just published the life story of Ernest Booth who was born at Seymour – the terraces at Woodthorpe built by the Staveley Coal and Iron Company for their miners. 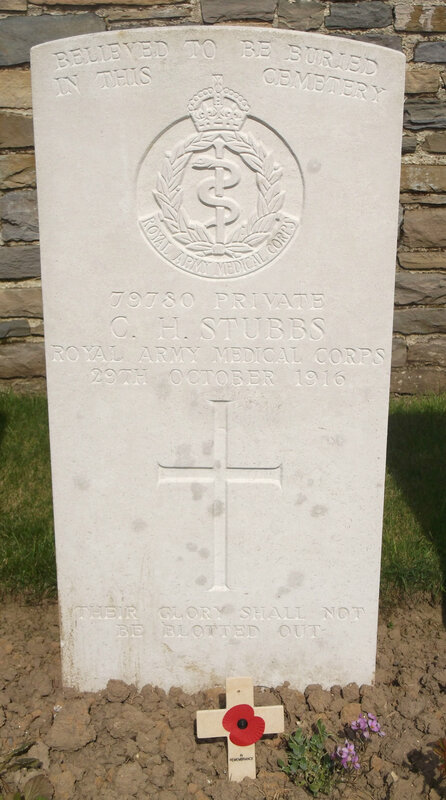 He is not listed on the Staveley Memorials but will be added to our on-line roll of honour. 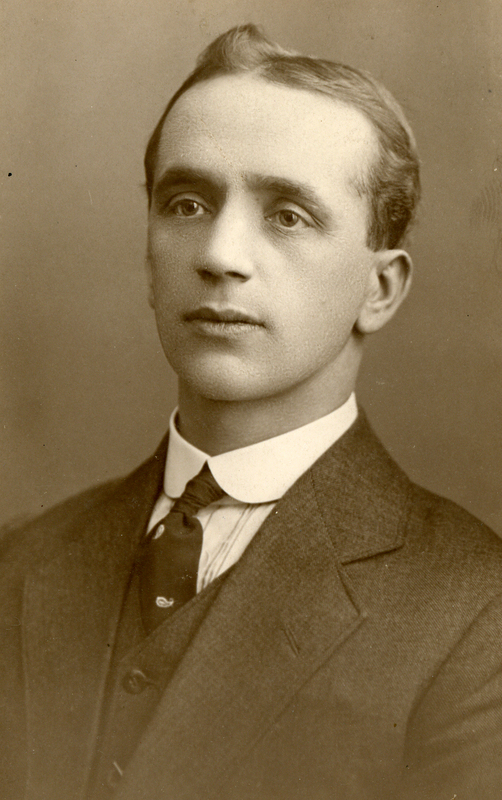 Frank Johnson worked for the Great Central Railway. 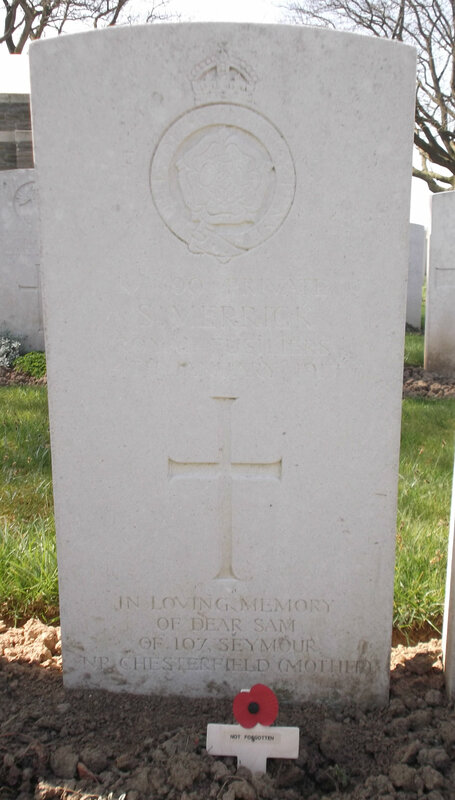 He had been in France for less than 2 months when he was killed in action on 9 May 1915. 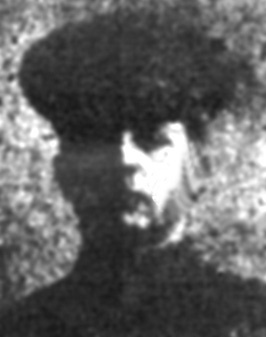 Edgar Clarke worked on the Devonshire Works. 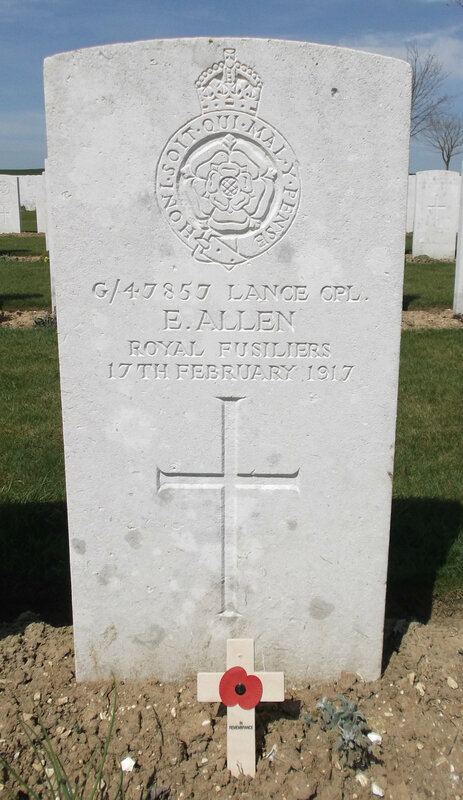 He was killed in action at Aubers Ridge on 9 May 1915. Stuart and Sally Mullins are the researchers of the Brimington War memorial. 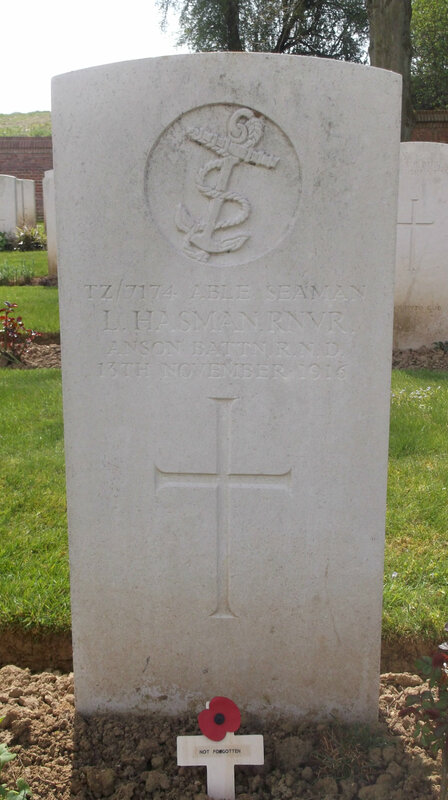 They have recently returned from a visit to the WW1 cemeteries and have kindly taken photographs of the headstones of several Staveley casualties for us. 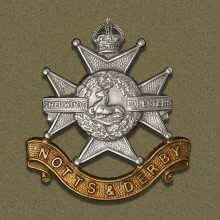 The photographs will be added to the details on the Roll of Honour. 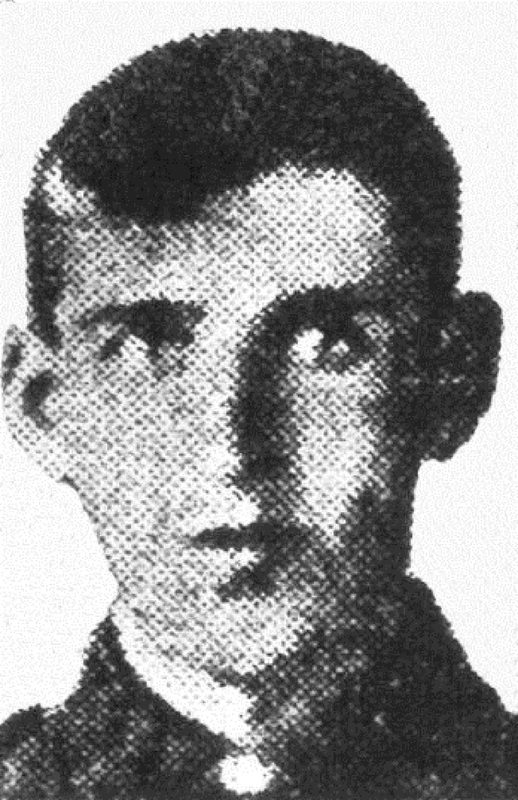 Private “Jack” Deakin, of the Medical Unit, Royal Naval Division, was the first local man to die during the Gallipoli campaign. 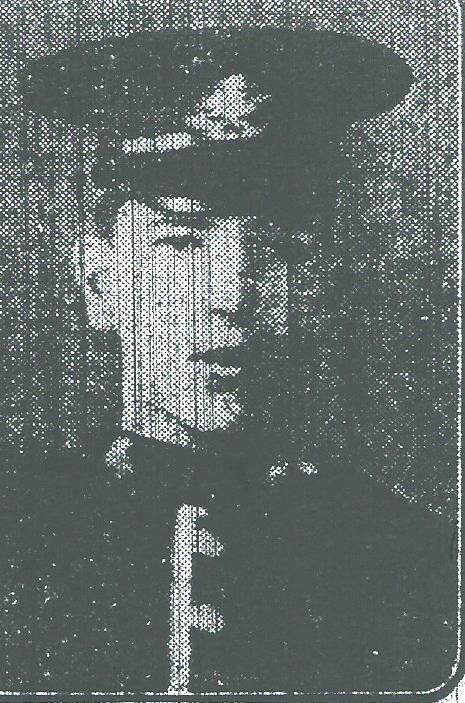 A member of the Ambulance Brigade at Ireland Colliery, he enlisted as a stretcher bearer. 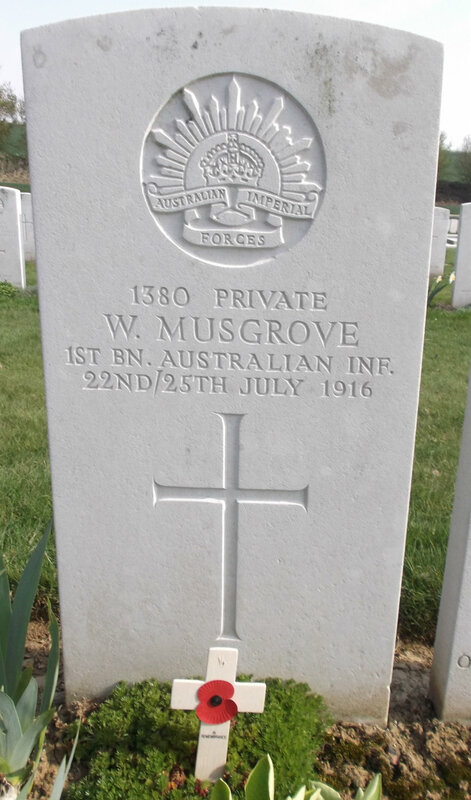 He died on 1st May 1915 and is buried at Beach Cemetery, Anzac.